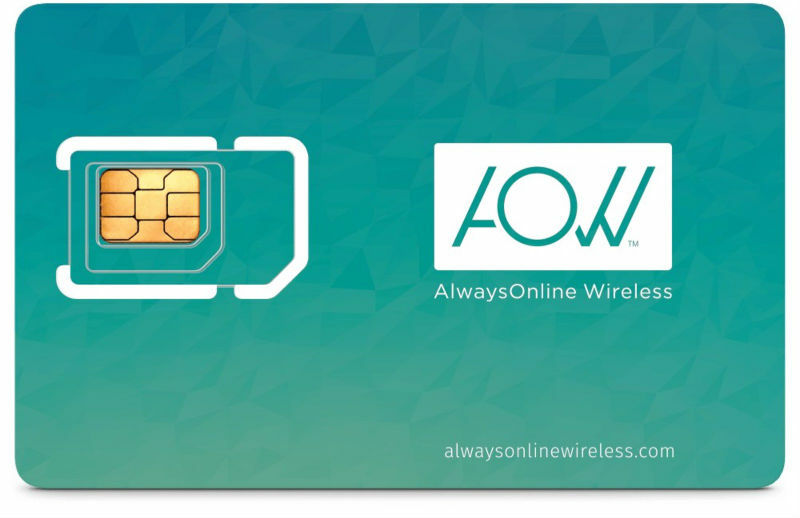 Otono Networks, the Canadian company behind the ZIP SIM pre-loaded SIM for international visitors to the US and the Roam Mobility prepaid global roaming SIM has launched a new product called the AOW Global Data SIM. 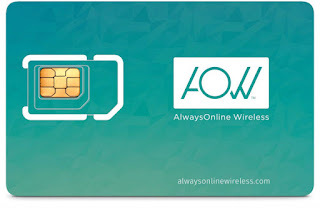 AOW stands for Always Online Wireless and the AOW Global Data SIM is aimed at international travelers who need on-demand short-term access to mobile data around the world. The SIM can be loaded with an LTE data plan for each country being visited. Plans are available in increments ranging from 100 MB good for one hour up to 5 GB good for 15 days. Plans can be purchased in advance and scheduled to become active at a specific date and time depending on your travel plans. The Global Data SIM is priced at $14.95 and is reusable, does not expire and can reloaded whenever you travel. AOW charges a flat fee of $5 per SIM for shipping to the US, Canada and most other countries. The US prices are reasonable. The other counties are more expensive which is surprising because, except for Canada, data with a local SIM generally costs less in those countries than it does in the US. However buying a local SIM is time consuming and can be a hassle, particularly if you don't speak the local language. Plus, the cost of a local SIM and service is usually at least about $10. If you are only staying a day in each country as cruise ships typically do, AOW at $9.99/day in most countries seems to be well worth it. Unfortunately AOW doesn't offer service on many of the Caribbean islands including Jamaica, St Martin, Dominica, Barbados or Aruba and the Caribbean is one of the top cruise destinations. This is pointless. In a few years all new phones will have built-in "eSIMs" and will work much like CDMA phones without a SIM do today. In a few years, most people will still be using the same phone they bought today. So I think you missed the point of (a) the article, and (b) the AOW service. Voice only? Very 2005. Data only? Very 2019. I would love to see a comparison of the various international roaming choices. My T-Mobile data plan from Harbor Mobile has served me well while traveling but I also carry SIMs from KnowRoaming ($8/day unlimited data) and Sim4Globe. For an upcoming trip to Europe, I purchased a 12GB/12 month prepaid data plan on 3 (U.K.) because they allow free roaming in 50+ countries. I know that there are additional providers like TruPhone, etc. I also know that there does not seem to be a single roaming provider that works best for every country. It would be great to see the various international roaming providers compared. Thanks for all the hard work! I like that KnowRoaming charges $8 day for unlimited. I was disappointed at all the European hotels I stayed in that either had no in-room WiFi, WiFi only in the lobby, or ridiculously pricey WiFi. It especially came in handy on Eurostar when we popped out of the tunnel in France and a few seconds later I had service and didn't have to pay an extra $8 for the rest of my day that started in England. I see the new pricing on this site and their site, but my Apple SIM is still quoting me the old rates (i.e., $19.99 for 1gb of data for 15 days). Disappointing. Prices are higher with the Apple SIM and that is disclosed on the AOW site. I suspect Apple gets a cut. At these rates it would be cheaper to buy something like Fi or use a carrier that offers international roaming. Even a local sim would be cheaper. These guys need to renegotiate their rates.